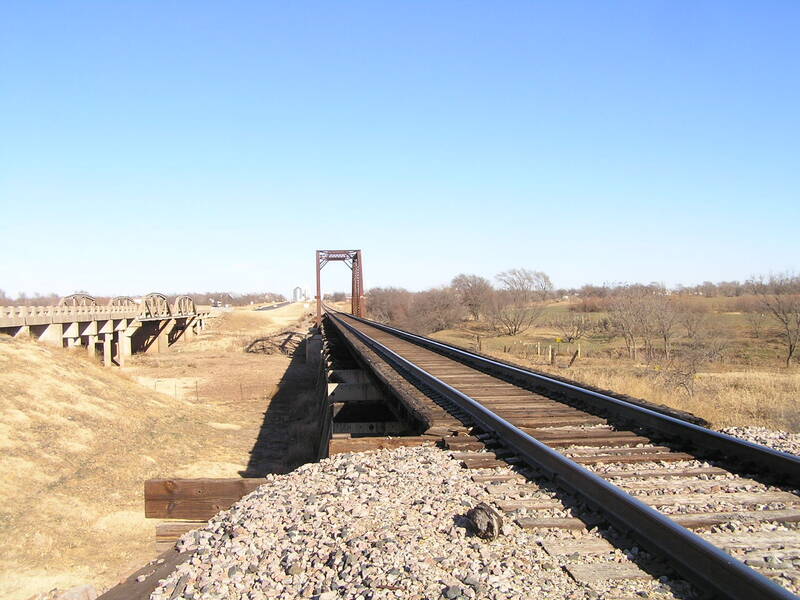 Located on the southwest edge of Eldorado, this bridge is still in service by the BNSF railroad company. Above, a view through the bridge. 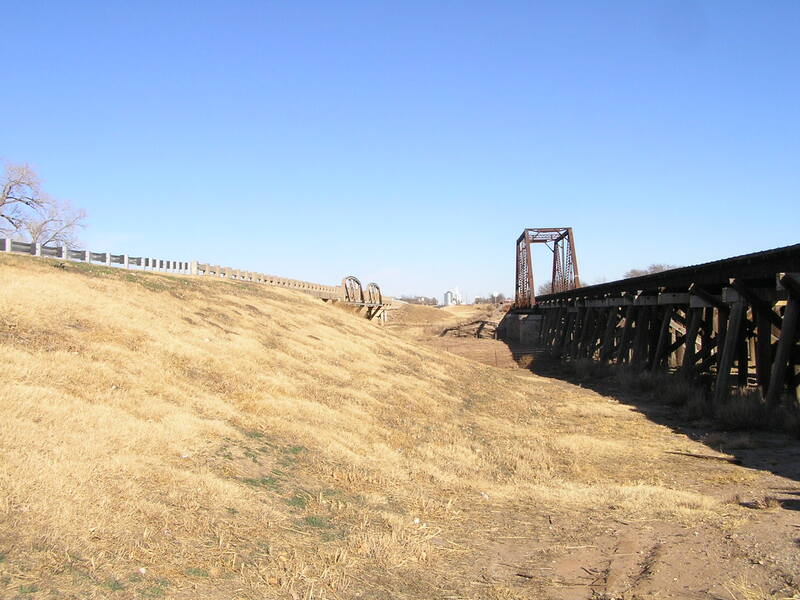 Below, this long trestle is the southwest approach to the mainspan. Above, the mainspan. It is an all-riveted through Warren with verticals, or a four-panel through Pratt. 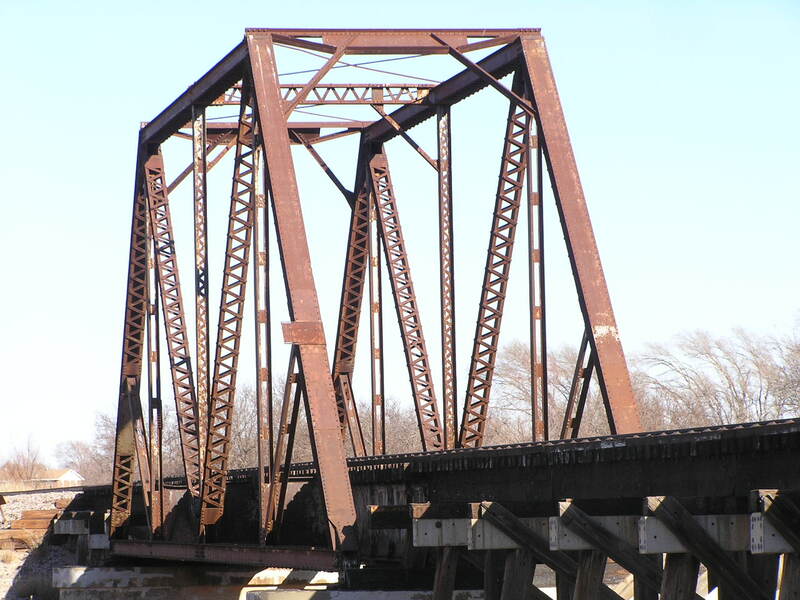 The struts which attach to the center of the endposts are called Collinson struts. 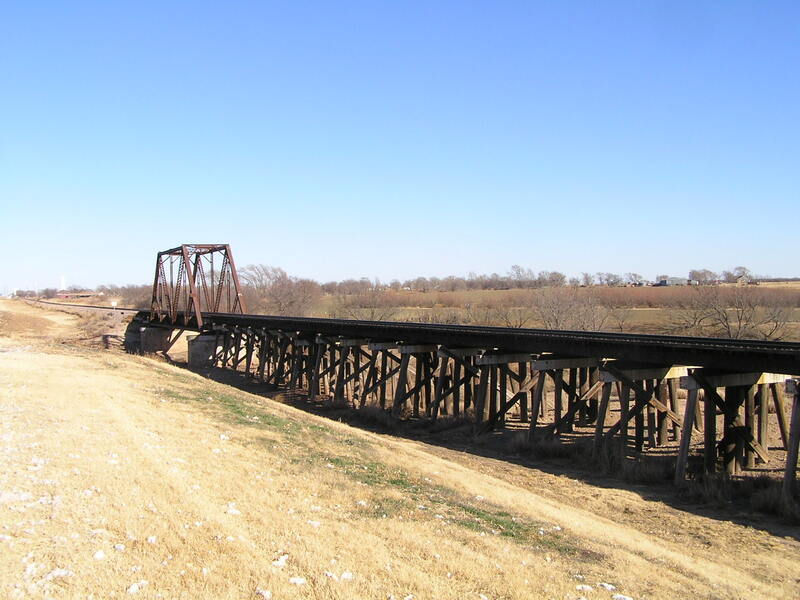 This bridge was built by the Saint Louis-San Francisco Railroad, commonly known as the Frisco circa 1910. 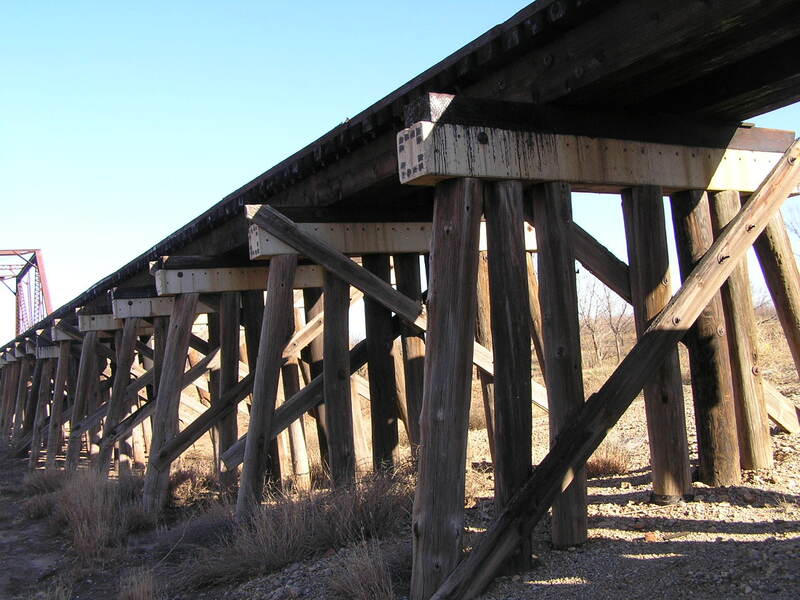 Below, a close-up of the wooden approach trestle. Above, another view of the mainspan. 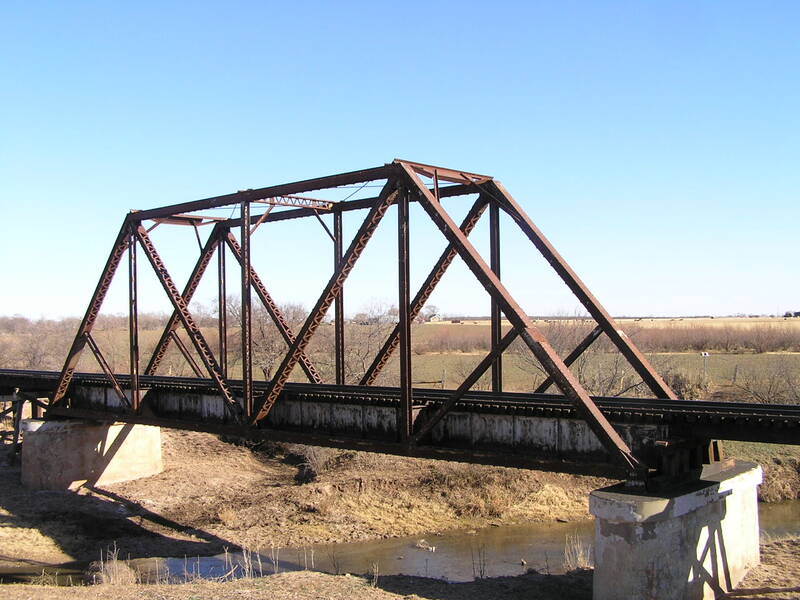 Below, this view shows the bridge relative to its neighbor, the OK 6 highway bridge.